[The photo above is of Hitler looking at Nietzsche in the Nietzsche museum. It was Nietzsche who came up with the concept of the ubermensch, translated or mistranslated as "the superman”. The term overman is better, but it loses its meaning in english. I’ve tried to think of a better term. The best I can come up with is "superior man”. We will return to Nietzsche, who thought incredible thoughts for the future, which all whites must EMBRACE AND LIVE BY. In the White Right you will find the term “Creator” and “Creativity” often. The term Creator is a concept that comes directly from Nietzsche. All whites are born to be CREATORS, and we must be that, and not concern ourselves about what other races and Jewish scum have to say about us. 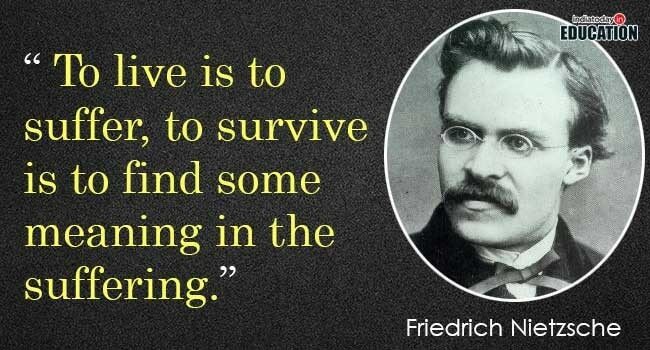 Although Nietzsche is harsh, here is a quote showing that he understood the struggles of life. This is the right attitude to adopt. Don’t be saddened by struggle. Find meaning in it. Juden, Unterjuden, and Uberjuden. Be Uberjuden. Video: Dion Wehrwolf & Jan discuss Rockwell the great American NAZI & that he was killed by the Jews! Is Christianity killing the Whites of Sweden?